Surround yourself with friends this New Year’s Eve and host a party. There’s no need to bog yourself down with a complicated menu, though. 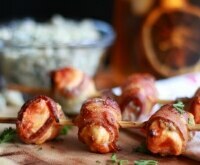 I’ve found nine recipes for quick and easy New Year’s Eve finger foods that make entertaining a snap. 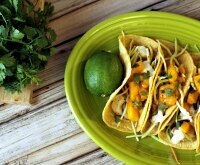 Keep it simple for less stress and more time to enjoy your own party! Before hitting the grocery store, be sure to check for coupons! 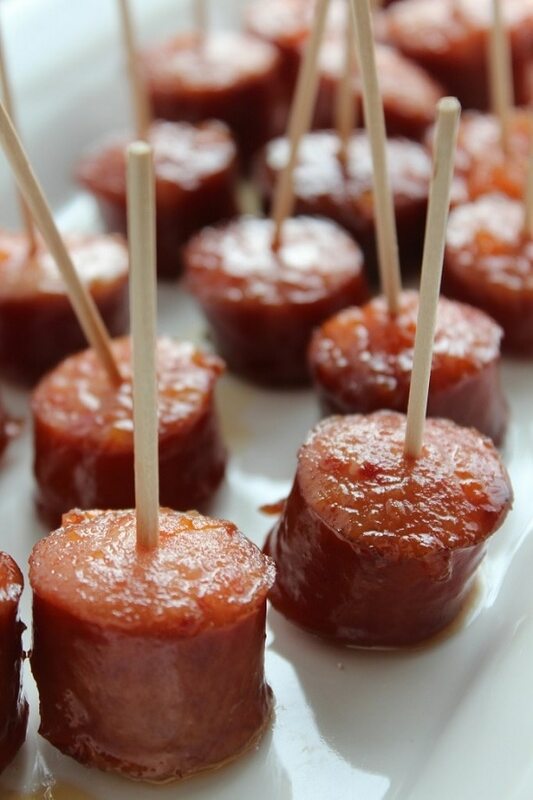 Mix and match with these recipes for even more bite-sized party appetizers! 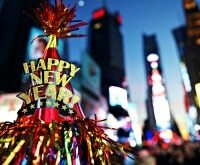 If you’re still planning your party, check out our tips and ideas for a kid-friendly New Year’s Eve party everyone will enjoy. 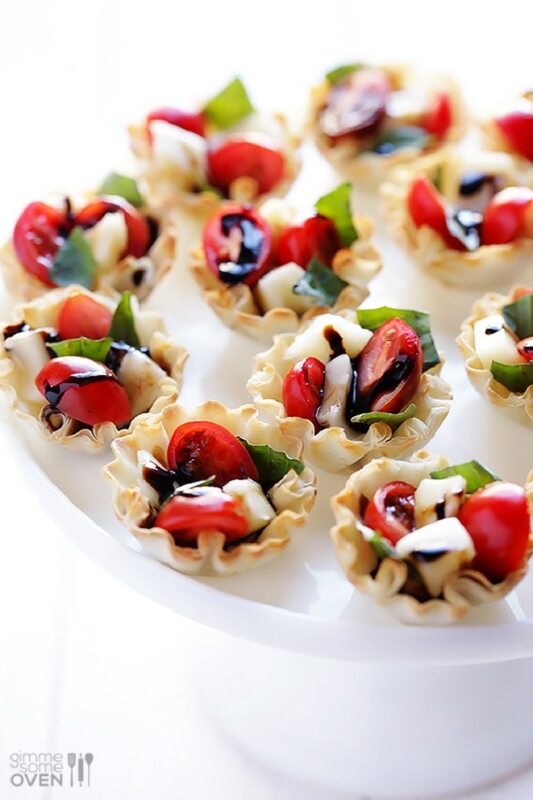 All you need are five ingredients for these simple caprese phyllo cups. 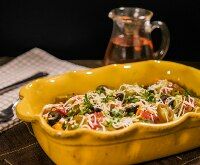 Make these fresh, tasty apps in just 10 minutes with pre-made phyllo cups. 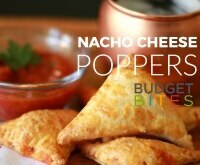 Save on frozen phyllo cups with coupons from Pepperidge Farm®. Get stand-out pepperoni pizza flavor without the greasy hands. 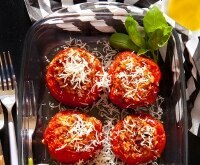 These easy-to-make pepperoni pizza puffs are a great no-mess alternative — all you need is a few ingredients and a mini muffin pan. 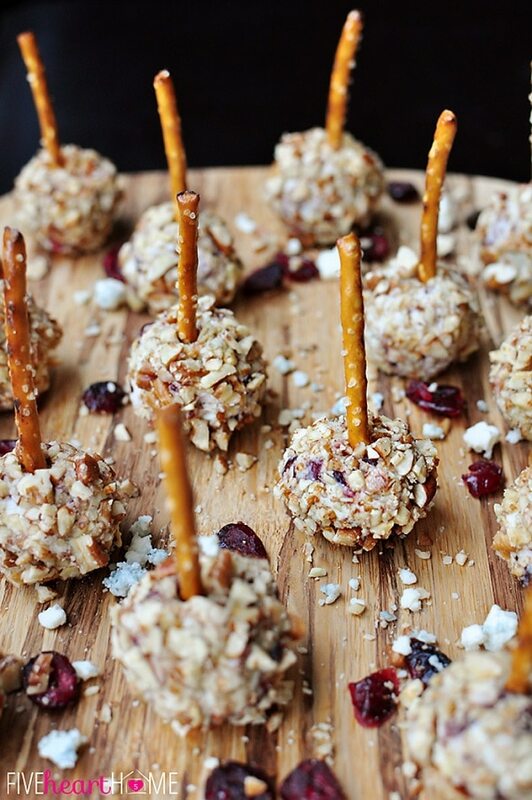 Bite-sized cheese balls are studded with cranberries and blue cheese crumbles, rolled in toasted pecans, and skewered with a pretzel for fun, easy appetizers. Save on your ingredients with coupons for Philadelphia® cream cheese and Snyder’s® pretzel sticks! 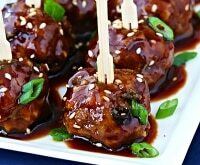 If you want crazy easy and yummy, put these Crock Pot bourbon-glazed kielbasa bites on your New Year’s Eve menu. 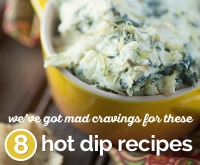 Take your spinach dip to the next level with these amazing bite-sized treats. 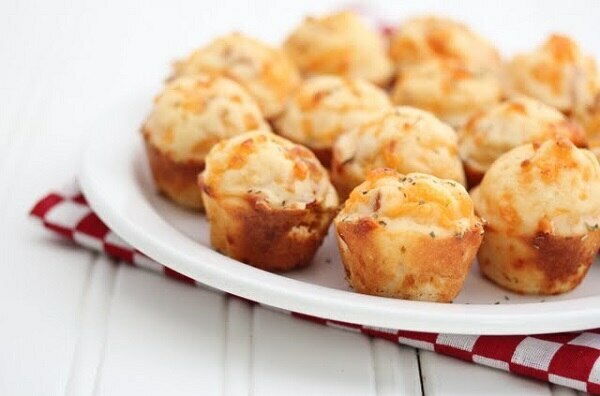 Free your guests up from standing next to the dip bowl with these handy, delicious bites! 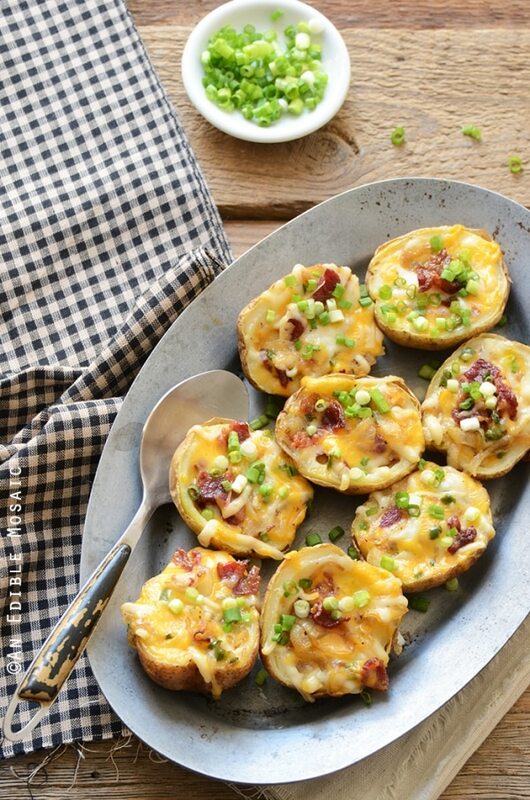 These irresistible jalapeño popper potato skins are studded with bacon and have a hint of spiciness. Make sure to save a few for yourself — they’ll be gone in seconds! 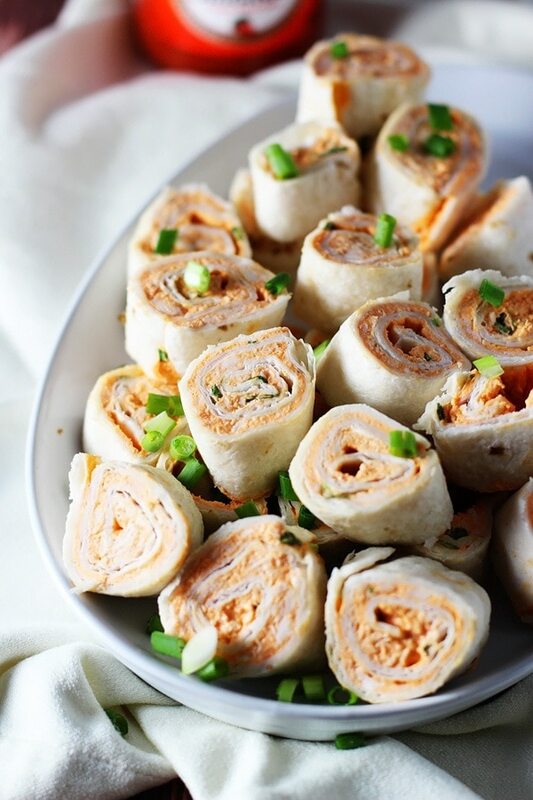 Get the taste you love from buffalo wings in these five-ingredient buffalo chicken roll-ups. No guest wants sticky hands, and these convenient pinwheels are perfect for entertaining. 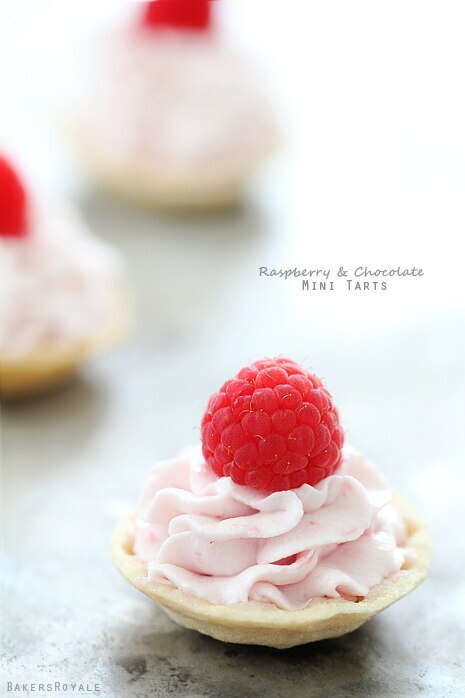 Serve these raspberry and chocolate mini tarts for a simple and elegant New Year’s Eve dessert. 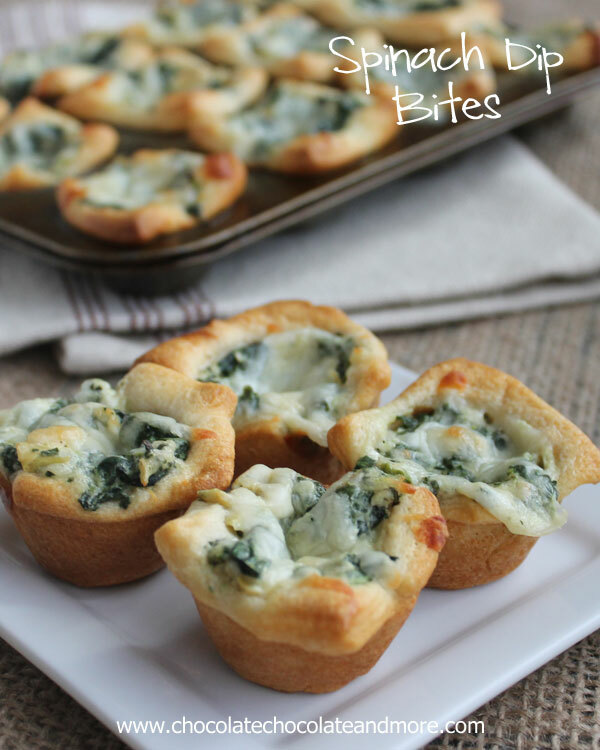 Pre-made tart shells make these delicious minis a breeze to make. 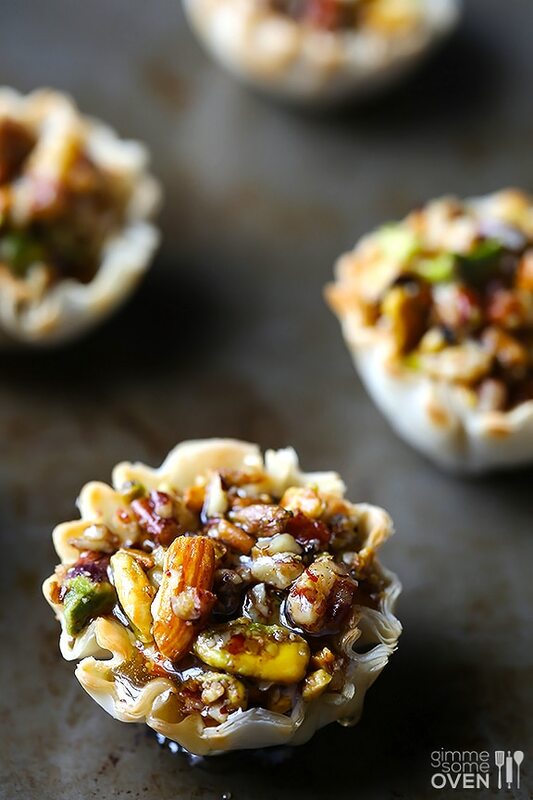 Surprise your guests with mini baklava cups. These bite-sized treats filled with toasted nuts and warm honey come together quickly and are seriously tasty.